Participate in my project, in search of The Universal Standard of Human Reasoning. 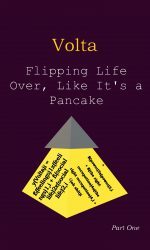 The fill-in-the-gap science-fiction satire, which is actually my research survey, continues. It will finally become clear what happened after The Sun Power Ritual. This is were all of my former publications come together. Will we prevent The Leak from manifesting itself? Volta shows you the method I use to reflect on what steps bring me closer to making changes and achieving my goals in life. It’s an interactive book, in which I ask you questions, by means of feeding your own Volta. In the end, when you are asked to put your answers into a different order, it shows you the steps you need to take, to see the change you want to see, in case you want that. To make my method clearer, while indirectly raising awareness (as well as an initiative to take real action) on several of the pressing challenges the human race faces (for these are things we are all subjected to, and they might influence our – or at least my – perspective on life), I use myself as an example subject, to show the method in practice, showing you what challenge in life I’m currently facing. May Volta give us the change we need! Read about the recruitment process of D.O.C.I.S. International here. 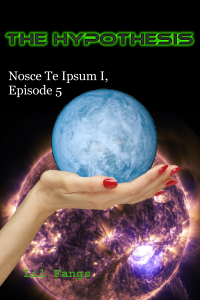 This episode serves as the introduction of Project Nosce Te Ipsum. It is made for the potential new D.O.C.I.S. International member. Hopefully that is you :). You will be informed about the types of path you could choose within this project and about what the benefits of participating are. 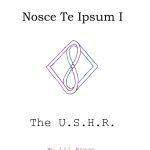 The first self-research questions for the Nosce Te Ipsum Certificate and the Universal Standard of Human Reasoning are posed in this episode, too. 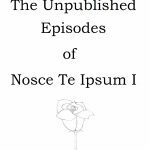 On April 7, 2018 and on May 31, 2018, previous Nosce Te Ipsum I episodes have been released. I have later unpublished these, because I found that the description of my personal situation – regarding to an unjust legal limitation in the development of the project, as a result of false rumors being spread against my will – was described too extensive. This was “the back story”. I have been able to rid myself of the limitation, now. The featured image is made by Emily.